Despite this week seeing the publication of some stronger than expected New Zealand data, the Pound Sterling to New Zealand Dollar (GBP/NZD) exchange rate has jumped since yesterday on hopes that a No-deal Brexit can be avoided. Since opening this week at the level of 1.9091, GBP/NZD has trended with an upside bias. GBP/NZD briefly dipped back to the week’s opening levels in reaction to some strong New Zealand inflation data yesterday, but has since jumped again. GBP/NZD has gained over a cent since then and touched on a 2-month-high of 1.9298 this morning, before pulling back slightly due to key psychological resistance. GBP/NZD still trends strongly near the level of 1.9253 at the time of writing. Amid mixed global demand for risky trade-correlated currencies like the New Zealand Dollar (NZD) this week, the Pound (GBP) has been able to more easily climb amid the latest Brexit hopes. Rising expectation that UK MPs want to avoid a worst-case scenario No-deal Brexit, as well as signs that MPs may support votes that attempt to prevent a No-deal Brexit from happening, have left the Pound much more appealing. While the government has indicated it will continue to attempt to make its negotiated Brexit deal appealing enough to be voted into law and will not delay the Brexit process, the opposition Labour Party has shown support for some amendments that have doused No-deal fears. The Labour Party has said MPs should be given a vote on whether or not to hold a second referendum, and has also said it would support legislation that attempts to prevent a No-deal Brexit. Generally, a delay to the formal Brexit date is seen as the most likely way to delay Brexit. 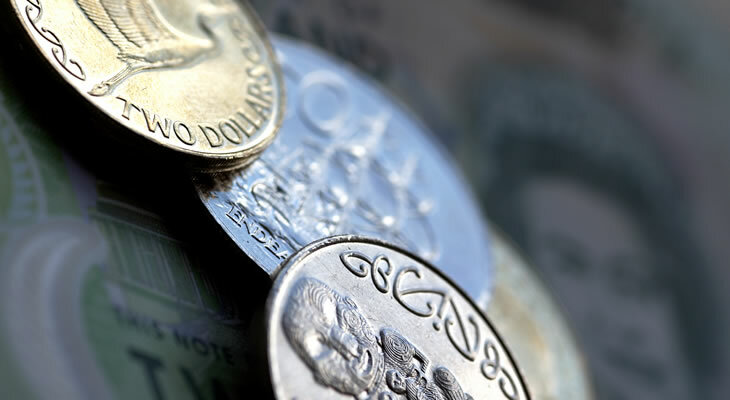 Despite strong New Zealand data earlier in the week, the New Zealand Dollar was unappealing today as market demand for risky trade-correlated currencies was limited. US government shutdown concerns and ongoing uncertainties about the future of US-China trade relations continued to pressure the New Zealand Dollar outlook in the background, limiting the currency’s appeal. On top of this, concerns that the Reserve Bank of Australia (RBA) may need to cut interest rates and Reserve Bank of New Zealand (RBNZ) rate cut bets worsened risk-sentiment and left the New Zealand Dollar weak. It followed some strong New Zealand inflation data on Wednesday, which briefly left the New Zealand Dollar more appealing. New Zealand inflation unexpectedly remained at 1.9% year-on-year rather than sliding to the expected 1.8%. A lack of major UK or New Zealand ecostats due for publication in the coming sessions means the Pound to New Zealand Dollar exchange rate is likely to keep being influenced by political developments instead. In particular, Brexit news will drive the Pound as investors anticipate next week’s key full-day Brexit debate in UK Parliament. During the debate, MPs are set to vote on various legislation that could influence the direction the Brexit process takes next. The New Zealand Dollar, on the other hand, will be influenced by factors influencing global risk-sentiment, such as US political news and US-China trade developments. Next week will see the publication of some influential New Zealand stats too. For example, Monday’s New Zealand trade figures from December could influence the Pound to New Zealand Dollar (GBP/NZD) exchange rate.